PULIZIA® believes in “Cleanliness is next to godliness”. Hygiene is a habit that is inculcated over a period of time. Hygiene is not restricted to Human bodies alone but Surroundings, too. In today’s time, with Socio & Economical development; there is huge rise in health risks. Most of the deceases are caused due unhygienic conditions. In fact, most of the new-world diseases like bird flu and swine flu have been attributed to lack of hygiene. By following the philosophy of “Prevention is better than cure”, these health issues can only be prevented by following hygiene & cleaning care in all aspects of our life. 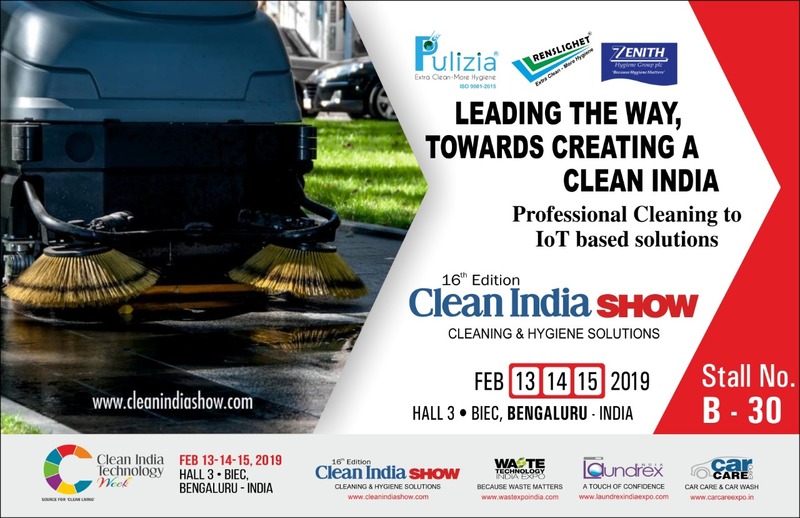 Pulizia® through its innovative & most effective products under Renslighet® brand are here to support the cause and help people to adapt to hygienic culture in personal & public space at most affordable cost..